WELCOME TO TNT FACTORY DESIGN STUDIO! OUR MISSION IS TO DESIGN WEBSITES THAT ARE GOOD-LOOKING, MODERN, EASY-TO-USE, AND FULLY OPTIMISED TO ACHIEVE YOUR BUSINESS GOALS. WE WILL LISTEN CAREFULLY AND WORK CLOSELY WITH YOU TO REALISE THE VISION YOU HAVE FOR YOUR WEBSITE AND ONLINE MARKETING. Check out a few of the past projects we have completed! 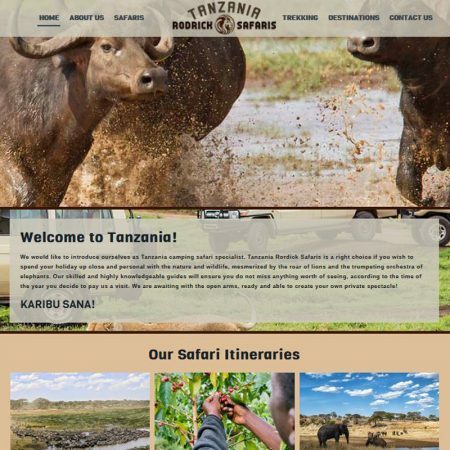 Zel and TNT Factory recently designed a brand new website for my tour company – TrekTZ Adventure & Safaris. I am beyond thrilled with the work done for us. The whole experience, from start to finish, was just excellent. Zel is beyond professional, very knowledgeable and helpful to clients. I have no knowledge of web design or websites but was never made to feel like an amateur. 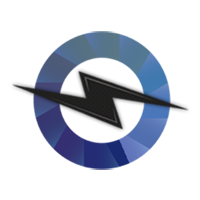 All communication was very quick with any changes we requested being made immediately. In the past, our web designers have been lacking in communication, not answering emails and leaving long wait times. Zel listened to everything we wanted and made the changes quickly, and actually followed up with us to get the project done on time. I would definitely recommend TNT Factory to anyone looking to upgrade their website to a more professional look. I will certainly continue to use TNT Factory for any future projects I have! 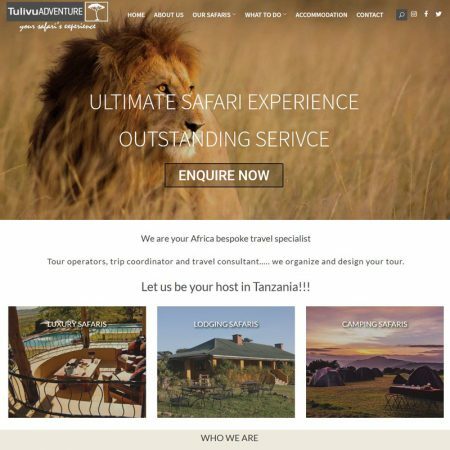 Tanzania Private Select Safaris are so satisfied with the service that this company provides. Its been now at least 5 yrs that we have been using Zeljko Polovina’s Service. TNT Factory is serving our two websites. They are Serengeti Mara Fly Camps and Walk in Safaris. So satisfied with his service. 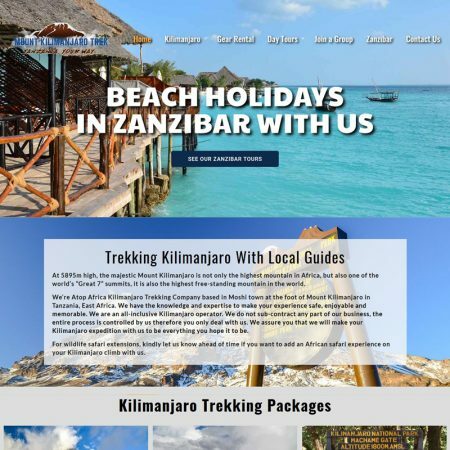 We TPSSL (Tanzanian Private Select Safaris ) will highly recommend TNT Factory. 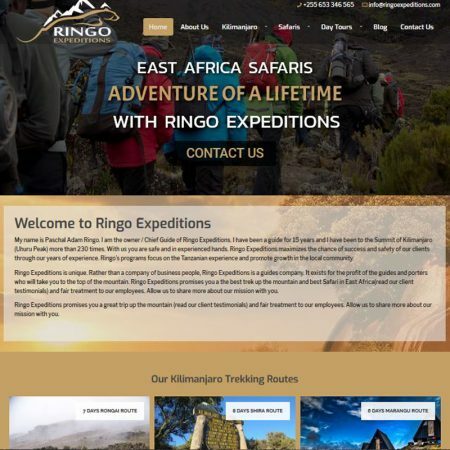 Zeljko Polovina from TNT factory created our website SAFARI KING TRAVEL, after being went through many web-designers who were not but only cone bunch of people! the job that took them 6 years and yet delivered nothing but in a four weeks time TNT factory finished my website and uploading. They are very sensitive to details and very efficient with time but also their price value your money. I recommend Zeljko to anyone looking for a great web-designer. One of the Best website design company that will always rely on and recommend to whoever needs, a well created and well designed website TNT Factory is your place.. I just recently started working with Zel and the 1st time I saw my website I was surprised because the website he delivered was beyond my expectations. 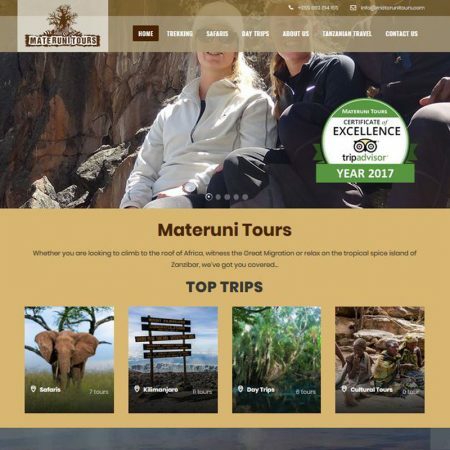 Without any doubt in my mind, TNT Factory are the best website designer ever you can have…l strongly recommended them to anyone who is looking for the best and excellent website..
Zel made our website designs for Cornel Ngaleku Children Centre and for Maktau Mountain Lodge. He knows his job very well and he knows what he is doing. Changes and/or updates are done the same day or even within an hour. I recommend him to anyone. It’s so supportive you don’t need to be expert to have your own website with Positive response just contact Zel, he changed my website from the Scratch and help me in online Marketing, TNT factory they are trusted I sent a payment without knowing just an account information they are there alway’s for their customers.Good job keep it up!!! TNT factory knows a customer needs!!!! 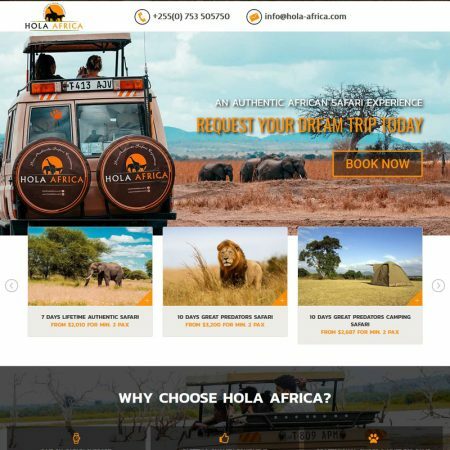 After juggling with so many web designers we at Linkup properties finally found one who delivered more than we expected within the shortest time. Your maintenance support is also very prompt. Thank you TNT factory! THANK YOU SO MUCH! It’s incredible the way you guys work. As soon as I saw your website I went the portfolio to see the types of website you guys do and all the websites worked on… it’s Amazing. 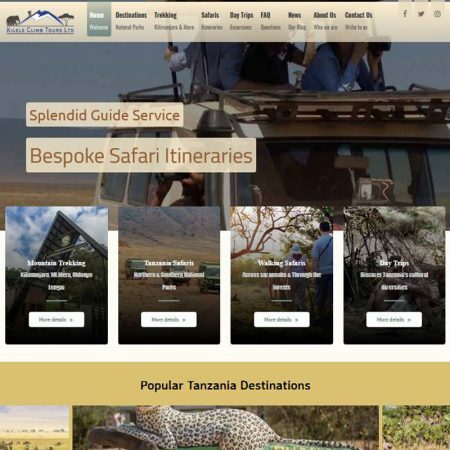 So I said to myself I have to use this company to make my website (STEP BUSH SAFARIS). I talked to Zel the same day. You’re the greatest. I’m living in Tanzania East Africa, I came across to Zel from TNT factory though internet. I was looking for someone who is expert enough to rebuild my website and bring more traffic to attract more customer. I have been struggling for a very long time try different IT specialties from in and outside my country who even costed me lots of money than what TNT factory charges me with no success to what I wanted. When I came across Zel from TNT my answer was direct there. Zel is very trusted man, we just discussed everything over phone and he quickly help to rebuild my website. He even went far and advice about the hosting and he was very quick to respond on any request I had concerning my website and business in general. He advise me a lot on what to do on my website and what not to do. Everything was very helpful and make business gaining more mileage. 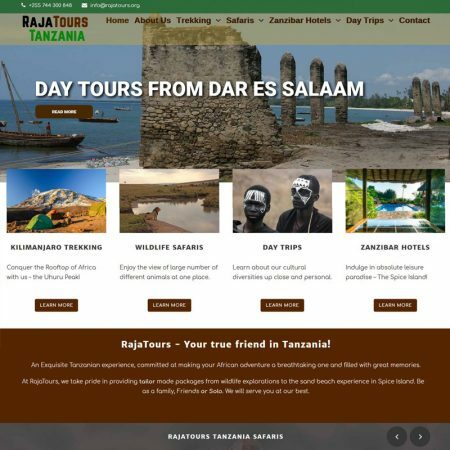 As I tour operator, I want to get very responsive, well information and good looking website. TNT Fatory was the right solution. Zel also helped me to create free advert on google. I real recommend any one who want IT assistance to contact Zel from TNT Factory and you will be happy with their services. Thank you so much Zel and keep up the good service brother. They are authentical professionals, I did several sites with them and the relationship quality-price is incompairing with somebody else. Zel is a gifted consultant. He designed two websites for me and he did an amazing job. I really appreciate his creativity, his intelligence and his ability to work with our content. He developed fresh, concise marketing material that is on par or better than any other firm in our field. He provided an excellent value for the dollar. A friend of mine recommended me to Zel as a web designer and was very pleasure to work with. The quality of service was excellent. Zel is friendly, professional and responsive throughout the process. He listened to the ideas I had and made them work. His price is really nice and reasonable compared to the other companies I researched. He kept me updated and involved throughout the process, and responded very quickly to my requests for minor changes and adjustments. His solutions and suggestions were most helpful when I was struggling to find the right design. I was highly impressed and wouldn’t hesitate to recommend TNT factory to anyone looking for the website design. TNT factory helped me get my website done,Zel not only does an excellent job he delivers within the agreed time. Hand him the assignment and rest it will be done and the questions you can ask him are never too many. TNT is reliable in every form of the word. TNT Factory is not just web design studio, we have the solution for all Web based programming challenges. And not just web, but also Mobile applications and any kind of Custom scripts developed for the specific needs and tasks that you might have. We would like for you to give us a try…We promise no regrets!